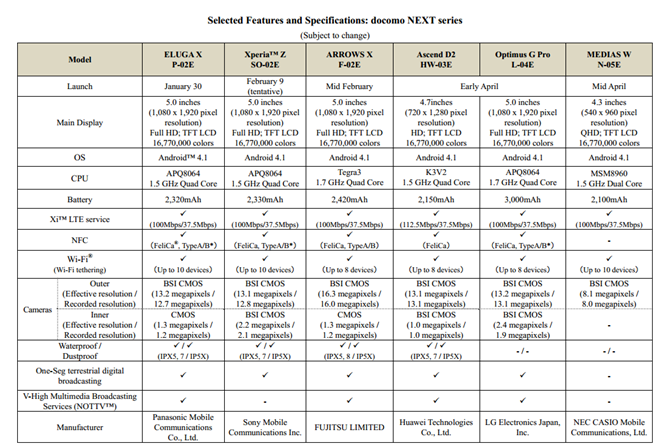 We've been taking a close look at some of Japanese carrier NTT DoCoMo's 2013 offerings: LG's flagship Optimus G Pro, Panasonic's similar Eluga X, and the dual-screen NEC MEDIAS W. DoCoMo announced three other phones at the same time, all of which are at the head of their manufacturer's lineups. 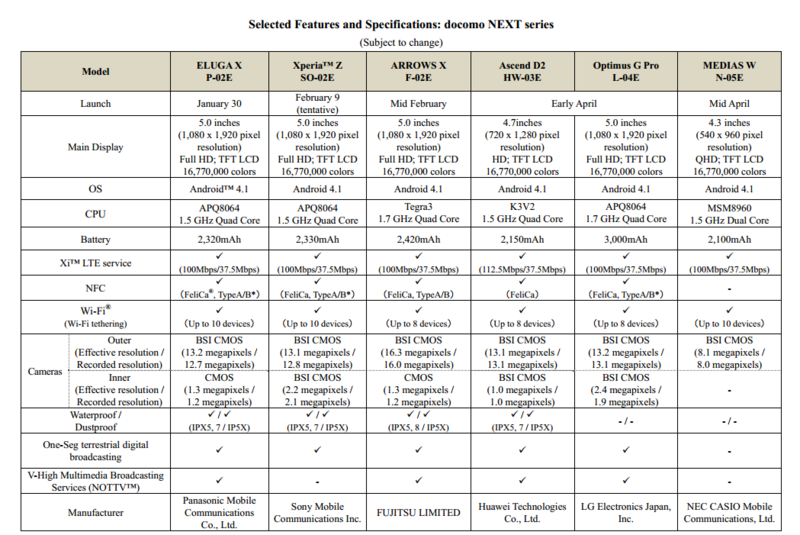 We've already seen Sony's Xperia Z, Xperia Tablet Z, and Huawei's Ascend D2. Fujitsu's ARROWS X F-02E matches up to both, more or less. In the more mid-range areas are Sharp's Aquos Phone EX and a new 10-inch tablet from Huawei. 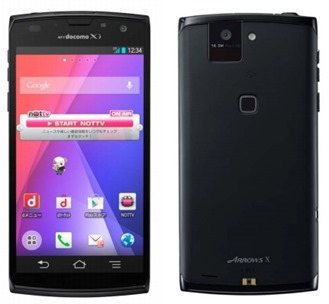 The ARROWS X F-02E (not to be confused with the earlier F-10D and F-05D models) is the latest in a smartphone family that hasn't seen much action outside of Japan. The new model sticks with the trend of 5-inch, 1080p LCD screens, but foregoes the latest Qualcomm chips in favor of the somewhat dated NVIDIA Tegra 3 at 1.7Ghz. 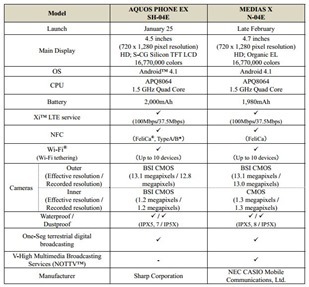 The camera is a whopping 16 megapixels, which beats even the impressive devices in the NEXT lineup. The battery is 2420mAh, second only to the 3000mAh monster in the Optimus G Pro. 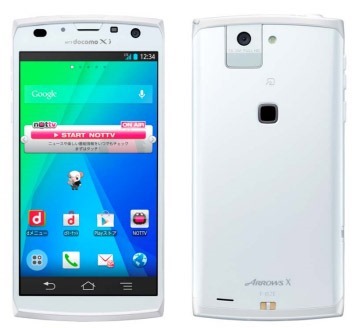 The ARROWS X will be available in mid-February in Japan. The Sharp Aquos Phone EX is a bit more toned-down than the phones in the NEXT series, with a 4.5-inch 720p screen. 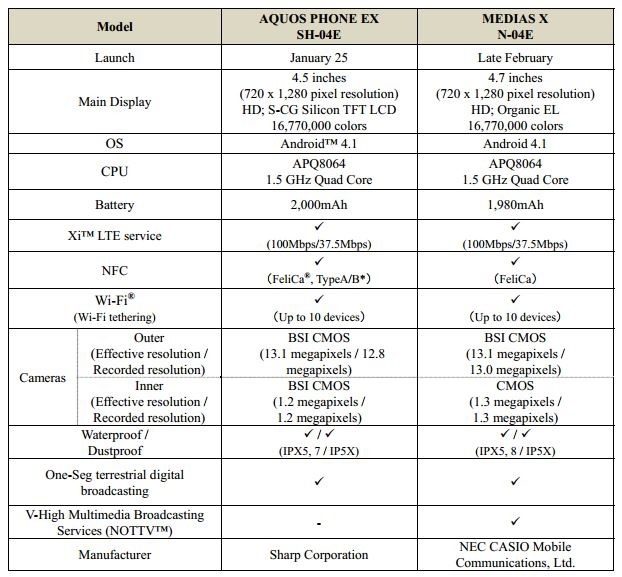 (Man, it's strange that this is what a "mid range" phone will be this year, at least in Japan.) There's still a screaming Snapdragon S4 Pro processor running at 1.5Ghz on four cores and 2GB of RAM, along with 16GB of storage, a 13MP camera, and Android 4.1. And it's pink. Very, very pink, and the off-green and purple options aren't much better. The Aquos Phone EX will go on sale on January 25th. Last but not least is the Huawei dtab (sic), an updated 10-inch tablet from the Chinese manufacturer. 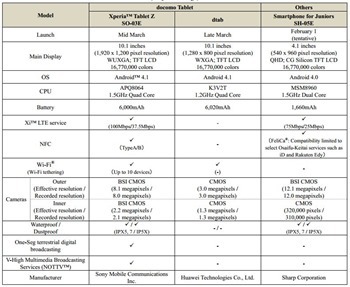 The dtab is pretty lackluster thanks to its 1280x800 screen and 3MP camera, but it will be running Huawei's in-house quad-core K3V2T processor at 1.2Ghz. It's not the thinnest tablet around at 9.9mm, but it should last a while on a 6020mAh battery. 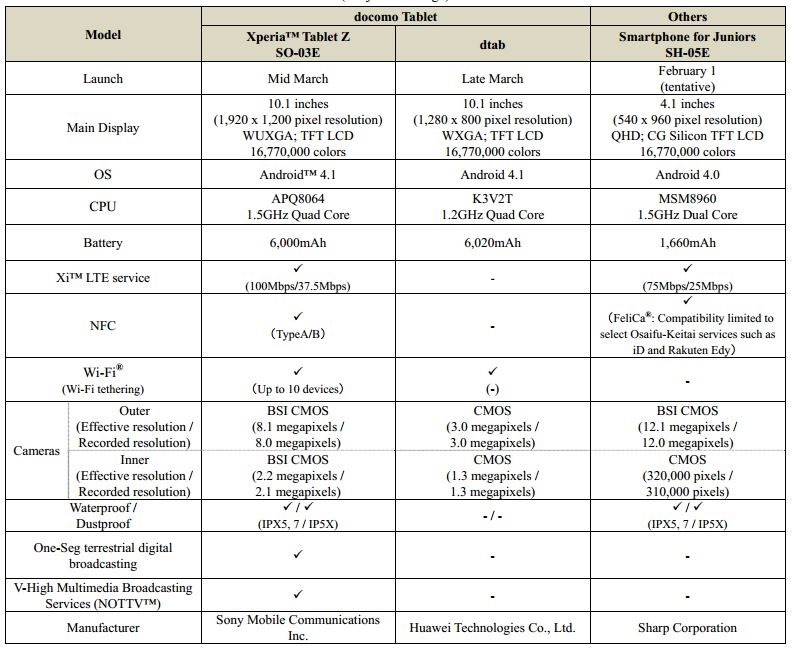 The Huawei dtab will be released for NTT DoCoMo in March, with the more ambitious Sony Xperia Tablet Z coming out in the same month. Don't expect to see any of the Sharp or Fujitsu products outside of Asia any time soon, but Sony, Huawei, and LG will certainly be spreading the love around in the coming year.